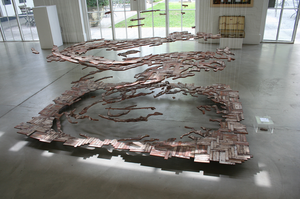 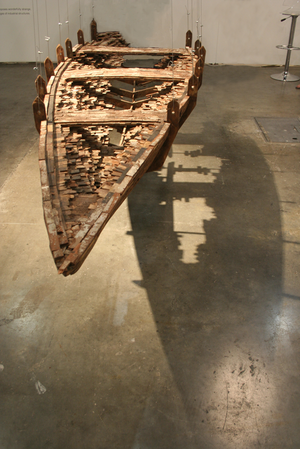 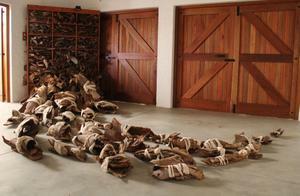 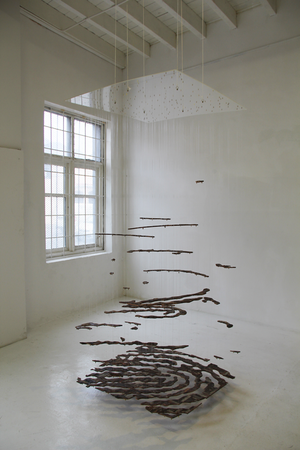 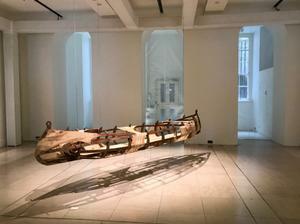 A suspended boat-like sculpture made from wood, mutton cloth and Eucalyptus bark ink dye. 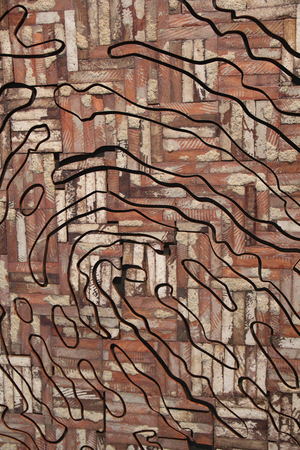 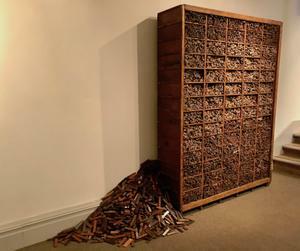 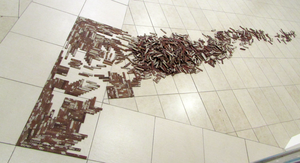 An installation of 101 artist books with covers made from discarded parquet floor blocks. 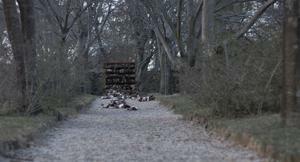 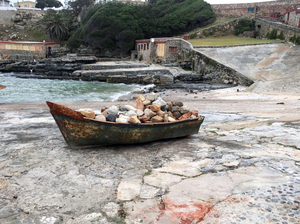 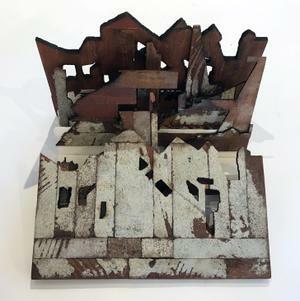 Site specific intervention at Unisa Gallery during the Response exhibition, July 2015.
de(part) , also known as ‘the boat’, is a suspended installation constructed from discarded parquet floor blocks which were salvaged from the Woodstock area in Cape Town, South Africa.